From May, 2012 a new body, the Property Services Regulatory Authority (PSRA) has been set up to regulate the provision of property services in Ireland. This new body covers auctioneers/estate agents, property management service providers, and letting agents. Anyone providing property services in Ireland requires a licence and is leaving themselves open to up to 5 years in prison and an unlimited fine if they provide property services without one. A separate licence is required for each property service. There are a number of different application forms depending on whether you are a sole trader, independent contractor, company or partnership. The Property Services (Regulation) Act 2011 is the relevant piece of legislation which you can find at www.IrishStatuteBook.ie and the PSRA (www.NPSRA.ie ) have produced a booklet explaining the whole procedure together with the application forms and notes to help you with filling out the application. The following comprises the main requirements for a sole trader/independent contractor but is not comprehensive or exhaustive. Compensation fund contribution of €200. Hopefully this article together with the guide above will give you a good understanding of what is now required to become a licensed property services provider in Ireland. The PROPERTY SERVICES (REGULATION) ACT 2011 (QUALIFICATIONS) REGULATIONS 2012 sets out the qualifications requirements for applicatnts for the various licences and were published on 5th June 2012. These regulations appear to different significantly from the booklet published by the PSRA as the regulations now give some discretion to the PSRA in relation to the applicant proving he/she has attained the minimum qualification requirements. 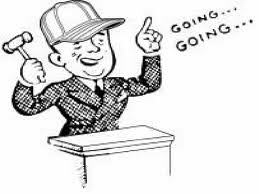 In the case of a Sole Trader or Independent Contractor evidence that the applicant was the holder of a licence or permit issued under the Auctioneers and House Agents Acts 1947 to 1973 for three of the five years immediately preceding the making of the application. This piece will give you some essential information about copyright law in Ireland, copyright infringement, what is copyright and so forth. Infringement of copyright is common nowadays, particularly with the growth of publishing on the internet leading to image copyright breach amongst other common breaches. 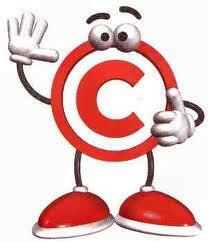 Copyright is the legal term, which describes the rights given to authors/creators of certain categories of work. For example a photographer is the owner in the case of a photograph. However, as copyright is a form of property, the right may be transferred to someone else, for example, to a publisher. Where an employee in the course of employment creates the work, the employer is the owner of the copyright in the work, unless an agreement to the contrary exists. 4. make an adaptation of the work. Copyright takes effect as soon as the work is put on paper, film, or other fixed medium such as CD-ROM, DVD, Internet, etc. No protection is provided for ideas while the ideas are in a persons mind; copyright law protects the form of expression of ideas, not the ideas themselves. Rights are not restricted just to the creators of the works themselves but certain other rights may apply. For example, the record company has certain rights in a sound recording of the performance of a song, in addition the author(s) of the lyrics and the music will also have certain copyrights. Similarly performing artists have certain rights in their performances. The legislation also provides for moral rights, such as the right to be acknowledged as the author of a particular work and also the right to object to derogatory treatment of that work. In Ireland, there is no registration procedure for owners of a copyright work. Basically the act of creating a work also creates the copyright, which then subsists in the physical expression of the work. Copyrights are protected by law and illegal use of these rights can be contested in the Courts, the technical term for this misuse is infringement. The legislation provides for criminal offences and consequently infringers could face both civil liability and criminal convictions. Professional advice should be sought by copyright owners with regard to the options and the remedies available where infringement of their work occurs. It is most important that the originator of a work can show subsequently when the work and the consequential copyright were created as it may be necessary to commence or defend infringement proceedings, at some later stage. One way of doing this is to deposit a copy of the work with an acknowledged representative who may be a bank or solicitor in such a way as to allow the date and time of the deposit to be recorded or notarised. Alternatively, one may send a copy of the work to oneself by registered post (ensuring a clear date stamp on the envelope), retaining the original receipt of posting and leaving the envelope containing the copyright work unopened thus establishing that the work existed at that date and time. It is important to show that copyright is claimed in a work. Works should be clearly marked to show who the copyright owner is and the date from which copyright is claimed. 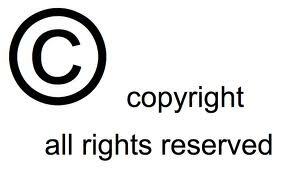 The internationally recognised symbol © is normally used to indicate that a work is protected by copyright. © Copyright Business and Legal 2009. Examples of more detailed copyright notices may be found in published versions of literary works. The inclusion of a copyright notice does not legally constitute proof of ownership, but does indicate a claim to copyright, which may prove useful if it is necessary to defend that claim or to deter possible infringement. 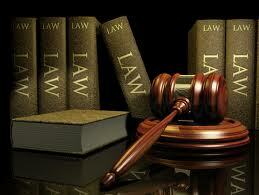 It is usually necessary to obtain permission to use copyright material. 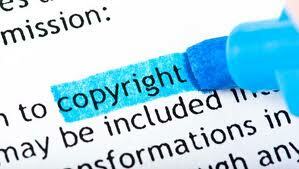 Persons with a copy of a work can look for an indication on the work regarding copyright. This can assist making contact with the author/ original creator of the work in order to obtain their permission to use the work for any act, which is prohibited by copyright legislation. Copyright protection expires 70 years after the last of the following dies, the director, the author of the screenplay, the author of the dialogue of the film, or the author of the music composed for use in the film. Copyright protection expires 50 years after the sound recording is made or if it is made available to the public then 50 years from the date it was made available to the public. Chapter 3 of the Copyright and Related Rights Act, 2000 (No. 28 of 2000) deals in greater detail with the duration of copyright in Ireland. Copyright protection provides a vital incentive for the creation of many intellectual works. Without copyright protection, it would be easy for others to exploit these works without paying any royalties or remuneration to the owner of the work. Copyright therefore encourages enterprise and creates a favourable climate to stimulate economic activity. Copyright protection provides benefits in the form of economic rights which entitle the creators to control use of their literary and artistic material in a number of ways such as making copies, performing in public, broadcasting, use on-line, etc. and to obtain an appropriate economic reward. Creators can therefore be rewarded for their creativity and investment. Copyright also gives moral rights to be identified as the creator or author of certain kinds of material (known as the paternity right), and object to the distortion and mutilation of it. An author’s right to object to the modification or derogatory action in relation to his or her work is known as an integrity right. Chapter 7 of the Copyright and Related Rights Act, 2000 (No. 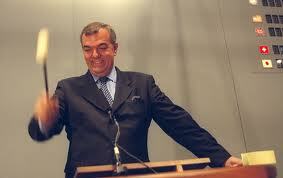 28 of 2000) deals in greater detail with moral rights applicable in Ireland. Franchising can be a great way to start your own business.And the failure rate for franchises is much less than for non franchise start-ups. But you still need to do your homework and assess any franchise opportunities presented to you and ask and be satisfied about many questions which you might not think about in your enthusiasm to start your own business. 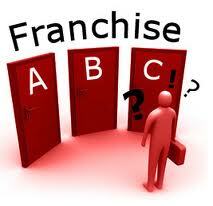 The franchise agreement from a major franchisor will generally be on a take it or leave it basis. That is to say the franchise agreement will not be negotiable as the franchisor can’t afford to negotiate individual franchise agreements with each franchisee. But that does not mean that you should not ask the right questions and satisfy yourself that the situation that arises when there is a dispute or the franchisee is incapacitated or dies is provided for. Here are thirty questions you should ask and satisfy yourself about before signing a franchise agreement. 1. What law governs the franchise agreement? Many successful franchises in Ireland are not Irish companies………..the law applicable for an international franchise may well be another jurisdiction. 2. What happens if the franchisee dies? Is there provision in the franchise agreement for the franchisor to provide staff to run the business to keep the show on the road? 3. Is there a renewal option when the franchise agreement ends? If there is are you happy to commit to sign a franchise agreement in say, 10 years time, having no opportunity to see the new agreement? What are the terms? 4. Can you sell the business? Can the franchisor veto your purchaser? 5. When the franchise agreement is terminated is there a non compete clause? For how long? 6. If the franchise agreement is terminated and the premises is yours, how much will it cost to debrand? 7. Is the training and system manual up to date? When was it last updated? 8. Is there an advertising fee payable? Can it be justified? Is there marketing spend on the brand? 9. Is there a management services fee? How is it calculated? 10. 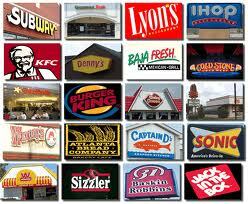 Does the franchisee have to inform the franchisor of any improvements he has made to the system? 11. Is the franchisor the owner of the trademark? 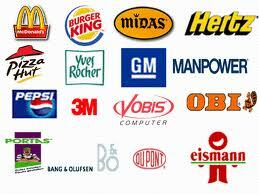 And if not will he provide a licence to the franchisee for the use of any trademarks and intellectual property? 12. Who will own the premises? Will the franchisor provide any advice in relation to location and premises? Is this provided for in the franchise agreement? 13. How long has the franchisor been carrying on business? How many company owned outlets? 14. If the franchisor is supplying goods is there a credit limit? Will a minimum stock of products be imposed? Is a vehicle required? Will it have to be branded? 15. What books and records will the franchisee have to supply to franchisor? 16. Will a confidentiality agreement be required? 17. Who will pay for initial and ongoing training? 18. Is there a territory? Is it exclusive? Is it stipulated in the franchise agreement? 19. How long will the franchise agreement last? Is it compliant with competition law requirements? 20. Is training provided for staff? Is it ongoing? 21. Is more than 10% of the initial fee for use of the name and trademark? Can this be justified? 22. What initial stock will be needed? Will the franchisee have to purchase equipment, stationery from the franchisor? 23. What ongoing obligations has the franchisor as per the franchise agreemtent in relation to problem solving, management, finance and marketing, provision of staff in an emergency, research and development and maintaining and improving the manual? 24. Will franchisee be required to advertise locally? 25. Does the franchisor have the right to communicate with the franchisee’s customers? 26. Has the franchisor the legal right to purchase the franchise from the franchisee? On what terms? Is that in the franchise agreement? 27. Is the franchisor entitled to appoint a manager if the franchisee dies or is incapacitated? 28. Who is entitled to terminate the franchise agreement? On what terms? What events will bring this about? 29. What will happen when a dispute arises? Is arbitration provided for in the franchise agreement? Litigation? 30. Does the franchisee have to enter into any restrictive covenants in the franchise agreement? When looking at a franchise agreement with a view to buying either a new franchise or an existing franchise, a close perusal of the franchise agreement with these questions foremost in your mind is a good starting point. But only a starting point. You will need to engage a solicitor before signing any franchise agreement but these questions may assist you in deciding whether to go that far or not. 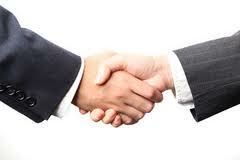 The need for a written partnership agreement in any partnership is crucial. Partnerships are an important part of business life in Ireland for a number of reasons. 4)there is no power to retire under the Partnership act.